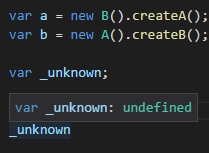 Although this looks correct and intellisense works correctly, this of course doesn't work because of the circular dependency. And while there are multiple resources that cover the topic (e.g. or ) I'd like to emphasize that VS Code does a nice job in inferring of what actual type of the returned value from the method is, regardless of what approach to the issue you take. 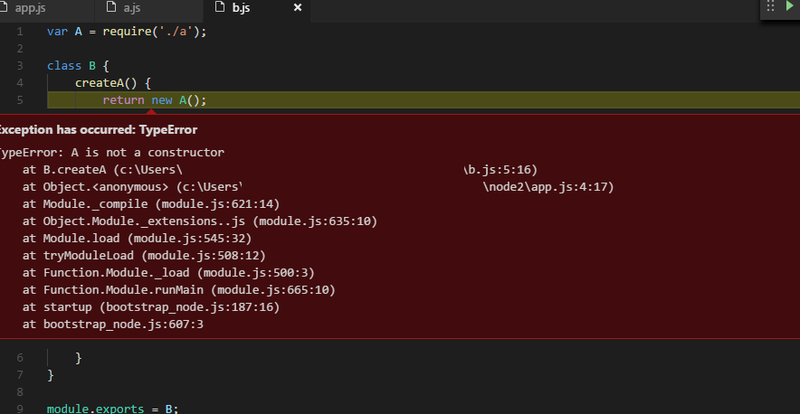 The type inference still works. 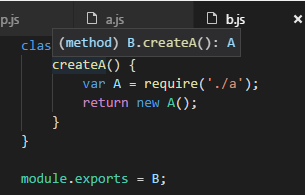 The last fact worth mentioning is that VS Code respects the JSDoc's @type annotation, whenever there type can't be inferred automatically, you can help it.